A distillery in Oldbury has been fined after an employee was engulfed in flames in a fire that destroyed the warehouse and its contents. Wolverhampton Crown Court heard how ethyl acetate (highly flammable liquid) was being transferred from a bulk storage tank into an intermediate bulk container when an employee was engulfed in flames. The 21-year-old sustained twenty percent burns to his head, neck and hands. 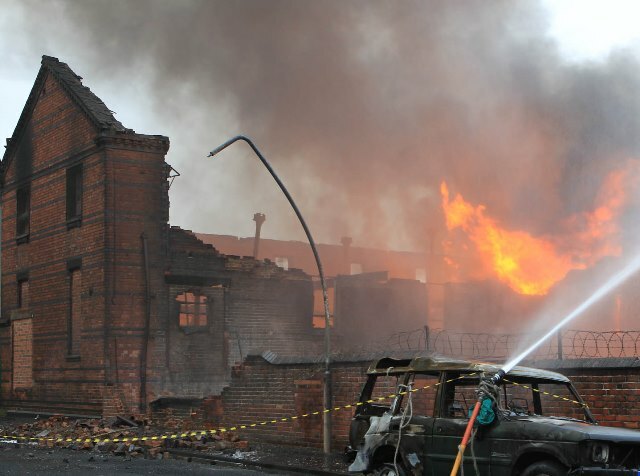 The fire, at the Alcohol Limited distillery on Crosswell road in Oldbury, destroyed the warehouse and caused damage to nearby cars and houses. West Mercia Fire and Rescue Service were called to bring the fire under control. An investigation by the Health and Safety Executive (HSE) into the incident which occurred on 26 November 2012 found that the most likely source of ignition was a discharge of static electricity generated by the transfer of the liquid. There was poor maintenance of pipework and associated valves. There was a failure to competently inspect the equipment or monitor the systems of work. Alcohols Limited, of Charringtons House, The Causeway, Bishop’s Stortford, Hertfordshire, pleaded guilty to breaching Sections 2(1) and 3(1) of the Health and Safety at Work etc. Act 1974, and was fined £270,000 and ordered to pay costs of £25,009. After the hearing HSE inspector Kieron Jones said: “Companies that fail to ensure the integrity of their safety critical equipment place their employees, members of the public, emergency services and their entire livelihood at risk of serious harm.